Share this product and receive a $0.10 sharing discount. This sobering story is not for the young or fainthearted. Within its pages we see a unique account of the tumultuous years of the French Revolution written with corroboration of the jailers themselves. 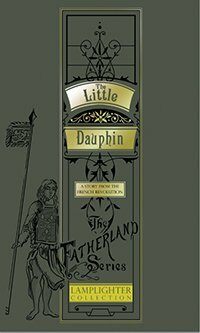 The Little Dauphin depicts the extremes of human character, from callous heartlessness to enduring courage. From the little Dauphin and his honorable father, we can learn to endure suffering and heartbreak with honor and humility, submitting ourselves to the will of the Lord, before whom one day every knee shall bow.